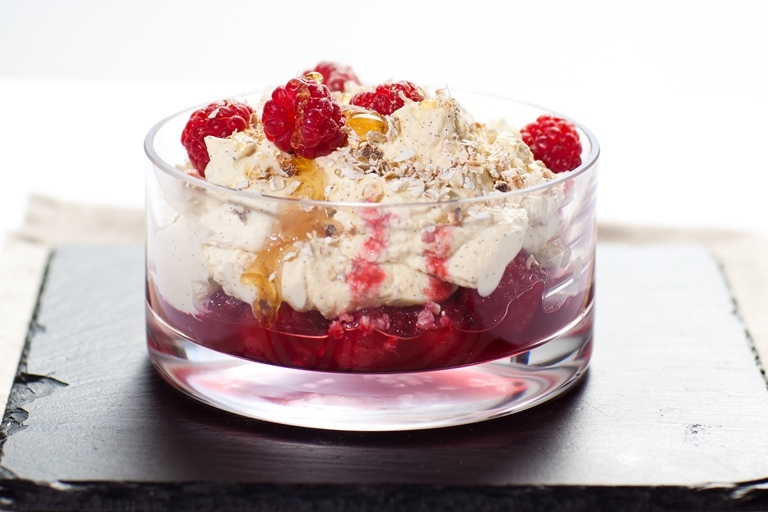 This is a remarkable raspberry Cranachan recipe from Shaun Rankin. Infused with the flavours of honey, raspberry, cream and even whisky, these dainty summer desserts are sure to impress. A very elegant take on the classic Scottish dish.